The award-winning Palm Cay Marina. 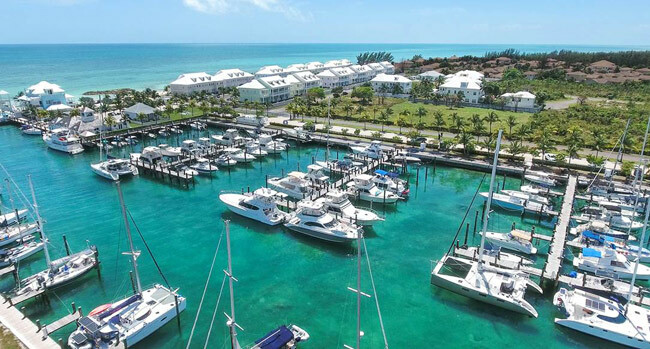 Nassau, Bahamas - Palm Cay, the family friendly, gated residential community in Southeastern New Providence was recently announced as the winner of the renowned Active Captain ‘1st Choice Award’ for small-to-mid size marinas. This is the third consecutive year that the community’s award-winning marina has been chosen as the top marina by boaters on Active Choice. More than 250,000 boaters trust Active Captain as an important source of information about marinas and local boating knowledge throughout the United States, Canada, Europe and the Caribbean. According to Demaro Demeritte, Dock Master at Palm Cay, the marina welcomes more than 300 boaters per year from all over the world. While most boaters are from the United States and Canada, visitors from as far as Australia have moored at the Palm Cay Marina. The company is scheduled to announce the construction of luxury condominiums around its marina later this year.